The Calmodulin (M.W. 1-5 kDa) Ca ++ binding protein is able to bind proteins mainly with hydrophobic sites in its surface. 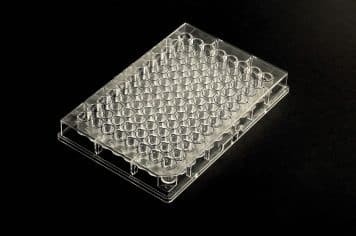 Calmodulin is coated using 200 µl/well. The strips are post-coated (blocked) for low non specific binding and long-term stability. 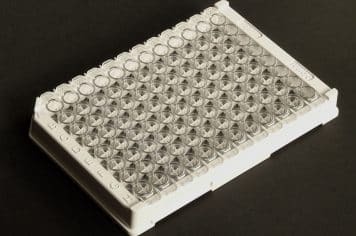 Microplates show a CV% less than 5 when a monoclonal anti-calmodulin is bound on the surface in an ELISA format, using anti mouse-HRP as detector and TMB as substrate.